For two consecutive summers—2016 and 2017—I worked for Explo at Yale University, where I taught the Public Relations and Media Studies courses and a workshop on leadership. 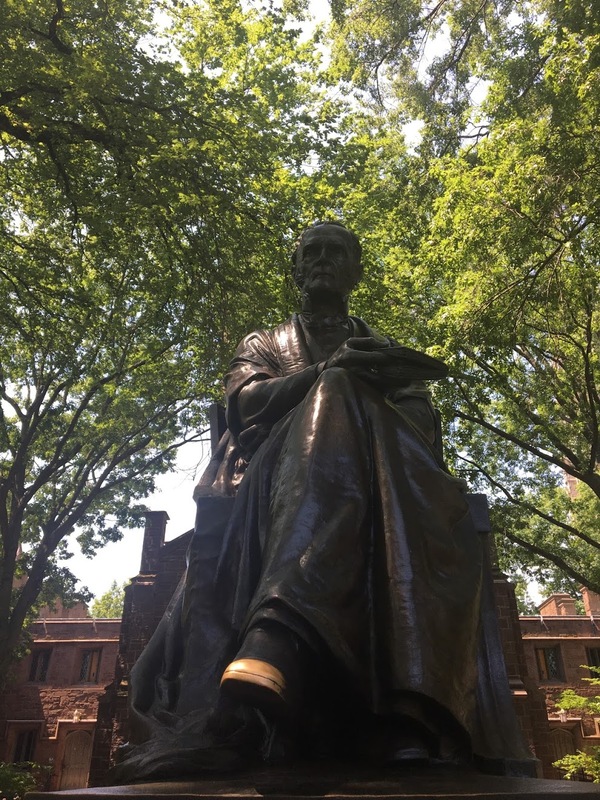 The Exploration Summer Program (EXPLO) at Yale is a program for high school students, with more than 90 course offerings (ranging from psychology of Harry Potter to video production to biomedical ethics to business management). As an Instructor at EXPLO at Yale, I designed the curricula for two three-week courses, which I taught twice each year for students coming from dozen countries. My experience at EXPLO allowed me to collaborate in creating a dynamic environment of intellectual inquiry, responsible decision making, and spirited adventure. As a faculty member, I taught, lived on the halls, chaperoned the trips, and organized many of the extracurriculars for students coming from all over the world. Students who attend our programs know that the value of an EXPLO experience extends far beyond the summer. Kindness. Lifelong friendships. Unbridled curiosity. Visions of your future self. What will you find at EXPLO this summer? During the first section working as an instructor at Explo at Yale, I taught topics related to communication with a focus on Public Relations and civic engagement. As someone who's into anything strange and interesting, I love to connect unrelated things in a way we can create insights we don't normally think about. Teaching a class that was composed 90% of female students coming from four different countries, we finished up the course by presenting a mock version of a NASA Press Conference that covered topics on science communication, new media, and women in science and technology. Students had to prepare the whole content for the conference, including speeches, media coverage, brochure, video, survey, etc. The primary idea was to allow students to develop an interdisciplinary strategy targeting youth in order to educate people back in their communities about the most powerful space telescope ever built: the James Webb Space Telescope to be launched in 2018. Potentially, this may help them to bridge the gap between science and media. How can media help science achieve its goal in the digital world? How can youth become an active voice through social media? These are some of the questions we worked on. Click here to have information from EXPLO blog. During the second section of the program, I guided students through the planning for the One World Event at Explo at Yale. What do we live for? What rights should all humans have? What is the gender spectrum in today’s society? These are some of the questions students tackle in presenting their projects, and sharing their knowledge at Explo One World. Therefore, One World is a celebration of diversity and multiple viewpoints. All humanities courses and workshops are invited to set up a table at the event. This main event is run fair style with students walking around to different tables to interact with the activities. With the advent of PokemonGo, my class had to present on the how virtual reality can be used for humanitarian causes. Students discussed the short film"Clouds Over Sidra" as an example on how to tackle the refugee crisis across the Middle East in an innovative way. "Clouds over Sidra" is a collaboration between the UN Millennium Campaign (UNMC), UNICEF Jordan, Samsung, Vrse.works, co-created by Chris Milk and Gabo Arora. It follows the life of a young girl living in the Za’atari Syrian refugee camp in Jordan. Click here to see more about it in theEXPLO blog. In media studies, students presented their project concerning ICT for development at One World. In their presentation, they demonstrated how young people around the world are deploying media technology for social change but also discussed the moral implications in considering ICT for social change.